To characterize and test the bulk density of powders to ensure accurate tablet manufacture. By defining the correct pressure to be used in a tablet making operation, that pressure can then be gauged by an accurate bulk density test. A Brookfield Powder Flow Tester, equipped with Powder Flow Pro software for automated instrument control and data acquisition, is used to test powders for accurate bulk density measurements to ensure the correct pressures are being used in a tablet manufacturing process. By quickly and accurately measuring the bulk density at different consolidating stresses, it becomes possible to maintain or adjust the pressure of the manufacturing die and ensure a smooth production run. The trough was weighed and the scale then tared. The powder consisting of an API and a host of excipients was scooped into the trough; the scraping tool was used to evenly distribute a flat annular ring of powder in the trough. The wall friction lid is used in this Standalone Bulk Density test. The trough with the sample powder was then weighed and the weight recorded in the Powder Flow Pro software. A Standalone Bulk Density test was selected and run. Test time is approximately 1 minute and 40 seconds. This graph displays the fill and final bulk density of the material, from initial loose fill condition thru five increasing values as the consolidating stress ramps up. A known final bulk density value is defined to apply the correct amount or pressure to a tablet making die. 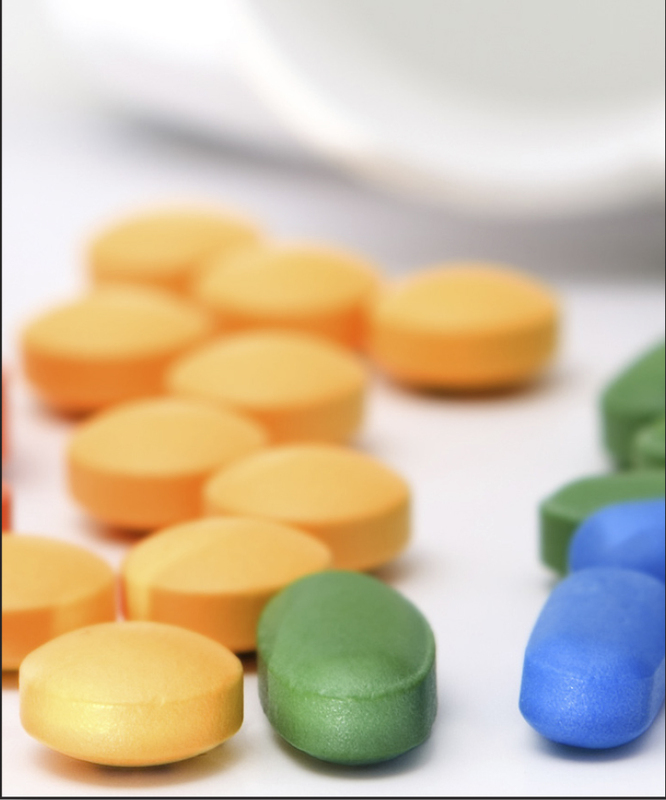 By monitoring this value with a bulk density test, the pressure in the die can be increased or decreased accordingly to ensure tablets will be uniformly produced. By qualifying the material ahead of time, the correct amount of pressure can be applied to achieve the desired bulk density of the material. Furthermore, the cohesiveness of the material can be gauged for flow into the dye by evaluating the difference from the fill to the final bulk density values. If this change is 30% to 50%, this indicates a more cohesive, harder to flow material. For example, in the chart of the bulk density values in Figure 2, the initial fill density value is 747 kg/m3 and the final bulk density value is 966 kg/m3. By subtracting the initial bulk density value from the final fill bulk density value and dividing by the fill bulk density value, a difference of 29% is determined indicating this material will be somewhat difficult to flow.